Manila, Philippines: The largest global sports media property in Asian history, ONE Championship™ (ONE), announces a partnership with Grab, the leading O2O mobile platform in Southeast Asia, to celebrate Everyday Champions among Grab’s driver-partners. This partnership will be rolled out in Indonesia and Philippines, as research shows that ONE Championship enjoys strong following in these countries. With this insight, Grab and ONE Championship found strong common ground and synergy to celebrate champions outside of the ring and reward Grab driver-partners who are the Everyday Champions on the roads. Champion Driver-Partners in the spotlight: As recognition of their tremendous efforts and hard work, Grab will identify and crown the Everyday Champions among its driver-partners, with the aim of sharing their inspiring stories to everyone. 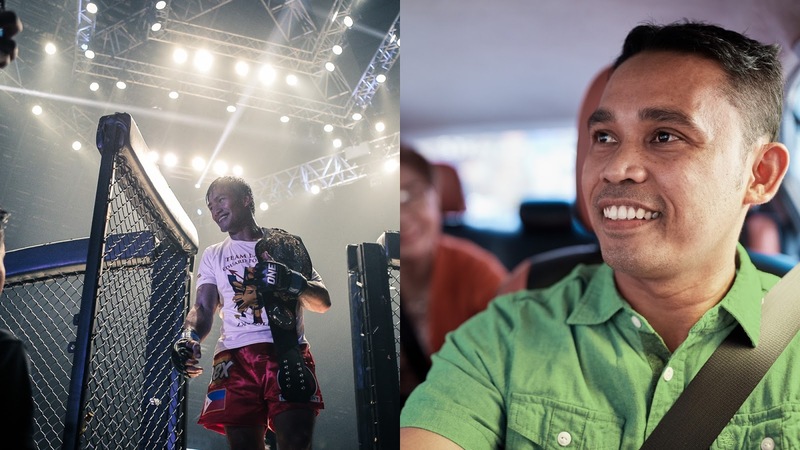 The stories of these driver-partners will be aired during ONE Championship fight matches, just like how ONE World Champions are being honoured. Exclusive access to Grab Champions Arena: Grab champion driver-partners will get to attend the ONE Championship fight matches as VVIPs, which includes backstage access, facetime with ONE athletes and exclusive rights to the Super Fan area where they get the most visibility of athletes making their way to the ring. This is a rare money-can’t-buy moment for driver-partners as they get to be in the heart of the action during a ONE Championship fight. Champions rallying for a good cause: Grab and our driver-partners in Indonesia and Philippines, together with ONE athletes, will rally consumers to raise funds for a regeneration project in the community they hail from. Ultimately, the real Everyday Champions give back to the society by helping to better serve their communities and solve everyday problems that the people in their society face. In many ways, Grab’s Everyday Champions share similar values and experiences with ONE World Champions. Grab driver-partners work hard everyday not just to enhance their income opportunities for a better life, but also to bring greater accessibility, convenience and safety to all passengers with dedication and best quality service. They are no doubt the Everyday Champions on the roads. Now with the partnership, Grab has the perfect opportunity to celebrate its Everyday Champions alongside ONE World Champions, allowing them to be recognized for their efforts.